Lock in a great price for Guest House "Prosto" – rated 9.2 by recent guests! The guesthouse exceeded our expectations. The place is very clean, comfortable, and private. And staff are so nice and helpful, always making sure everything is comfortable. The location is about a 15-20 minute walk from the main shopping street and a lot of the museums are walking distance as well. Even just walking along the river right outside the guesthouse was beautiful!. There was an option to purchase a breakfast for only 170 ruble per person and although not a big one it was enough to get us going every morning and was delicious! We highly recommend this guesthouse! Clean, comfortable, good location. Sonya attended us when we reached . An excellent lady who helped us with all our queries with utmost patience. It's a really comfortable Guest House, the personal is the nicest, the location is quite good. You've to share bathroom, but is so clean that is not a problem. Staff was very helpful despite communication barrier. Clean rooms and facilities. check in is flexible, location is good, quite neighborhood. value of money. Ottima dislocazione, a 25-30 min a piedi da Hermitage, staff e' molto gentile, ottima esperienza, lo consiglio a tutti. Уютно, чисто и в центре города. Плюс есть кухня (все необходимое предоставлено). 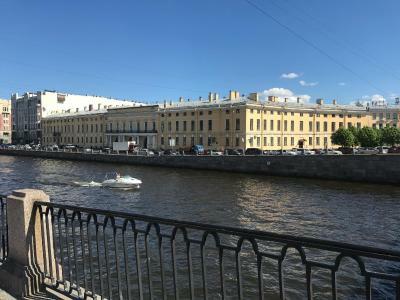 Located in Saint Petersburg, within 1.1 miles of Faberge Museum and 1.3 miles of Saint Isaac's Cathedral, Guest House "Prosto" provides free WiFi. Built in 1960, the property is within 1.5 miles of State Russian Museum and 1.5 miles of St. Nicholas Naval Cathedral. The property has a 24-hour front desk and a shared kitchen for guests. Rooms contain a shared bathroom with a shower and free toiletries. 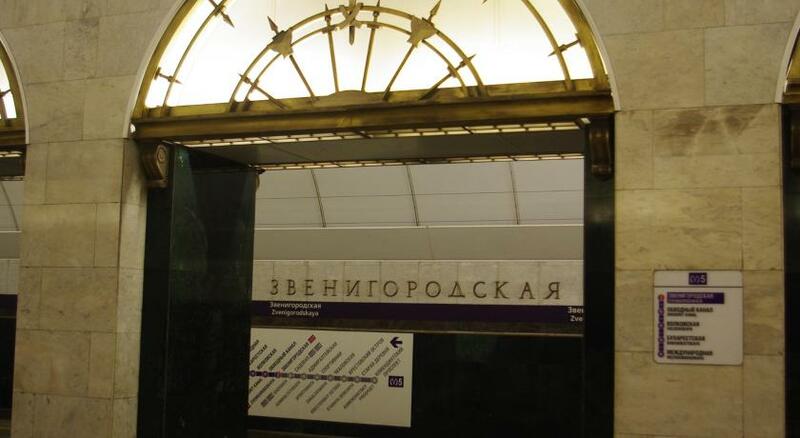 Palace Square is 1.7 miles from the guesthouse, while Church of the Savior on Spilled Blood is 1.8 miles away. 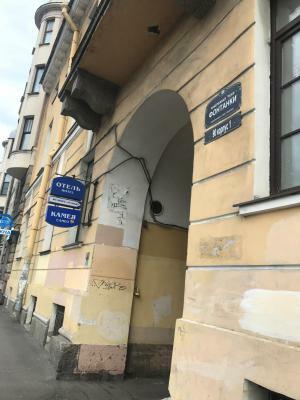 뀐 Located in the top-rated area in Saint Petersburg, this property has an excellent location score of 9.3! When would you like to stay at Guest House "Prosto"? Area Info – This neighborhood is a great choice for travelers interested in cathedrals, history and architecture – Check location Excellent location – show map Guests loved walking around the neighborhood! 4 reasons to choose Guest House "Prosto"
House Rules Guest House "Prosto" takes special requests – add in the next step! Guest House &quot;Prosto&quot; accepts these cards and reserves the right to temporarily hold an amount prior to arrival. Guest House "Prosto" accepts these cards and reserves the right to temporarily hold an amount prior to arrival. Please inform Guest House "Prosto" of your expected arrival time in advance. You can use the Special Requests box when booking, or contact the property directly using the contact details in your confirmation. 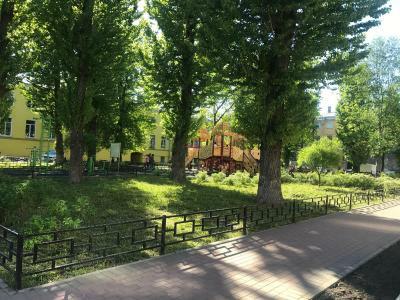 See all guest reviews for Guest House "Prosto"
Newest Reviews for Guest House "Prosto"
Be aware that if you need your visa registered in Russia the guesthouse does not offer that type of service. warm ! summer is coming, put some extra fan or AC.